The annual Youth for Christ "Stories" banquet was recently held on April 12th at Giovanni's. "Stories" were shared of YFC's outreach to youth through City Life, Campus Life, and Juvenile Justice Ministry. 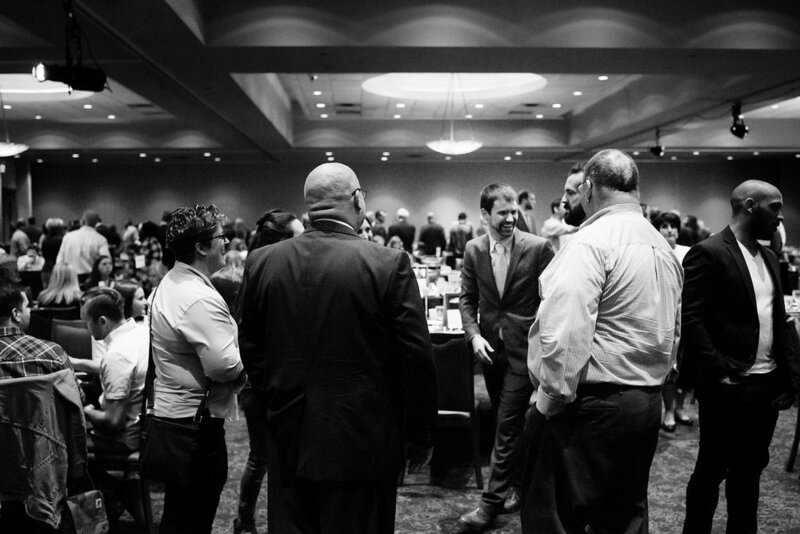 We heard from the staff at YFC as well as influential community leaders, including Dr. Ehren Jarrett (Superintendent of Rockford Public Schools) and Brent Pentenburg (CEO of Rock River Valley YMCA). 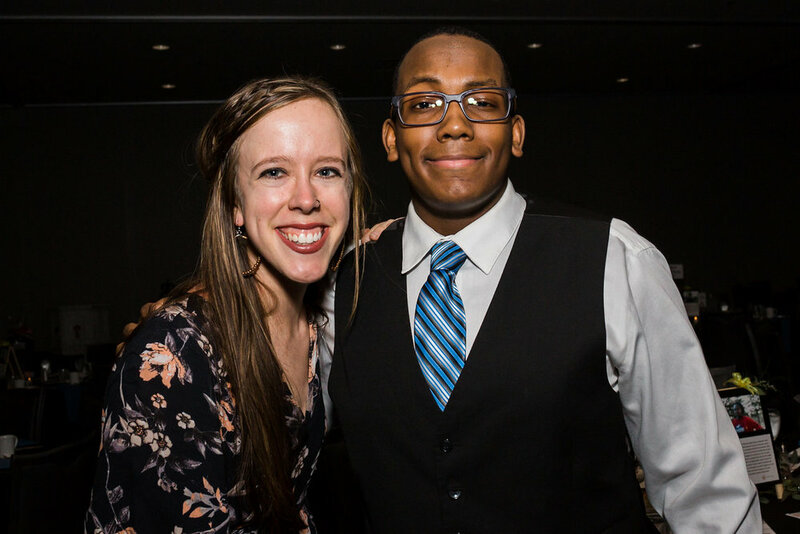 YFC greatly values partnerships in local schools and the YMCA, where we hope to expand efforts to reach additional youth through Christ-centered, mentoring relationships all across Rockford. We also heard from a teen, Akeyla Evans, who has been impacted by YFC through her involvement at City Life and by attending YFC Camp last summer. We are thankful for the success of this event. 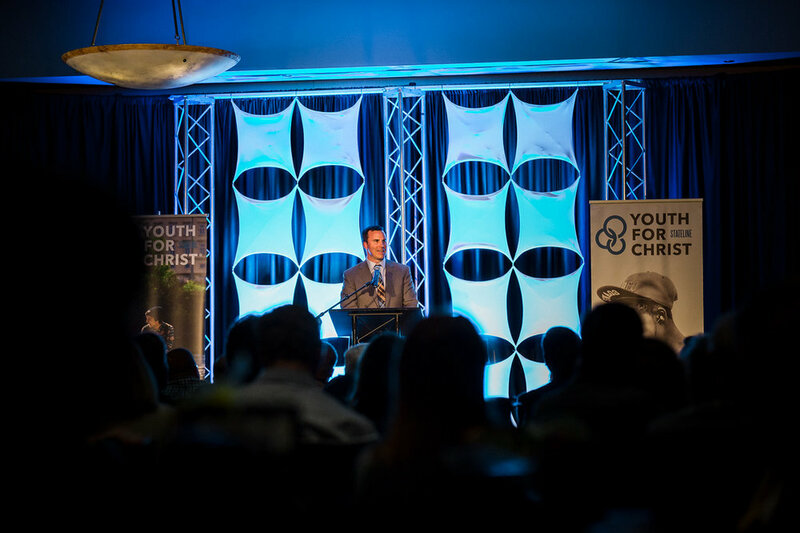 YFC's ministry in the community is growing, and this event continued that momentum forward. We would also like to thank our sponsors for helping make this event possible: Subway (Gold Sponsor), Ticomix, Jack Wolf Auto Group, SVL Productions, Chuck & Karen Blomgren, Roy & Beverly Blumenshine, A & B Freight, Anderson Toyota, David Anderson (Spring Creek Partners), Baird Financial Advisors (Gary Love), Business Advisors, The Crosby Law Firm, Culver's, Field Fastener, Gordon Flesch, Lori Haugen Tutorial & Editing Services, Dr. John & Dena Koehler, Meijer, Members Alliance Credit Union, Stateline Church, Stifel Nicolaus (Jeff Luedke), Dave Syverson, Trekk, John Widell Construction, Inc., and David Zierke (State Farm Insurance). We also appreciate many businesses and individuals who donated to the Silent Auction.